We’ve got a great thing going in Northwest DC. Coming off our best (and biggest) season yet, we're ready to keep things rocking for the Spring! Our league is made up of supportive parents, high-energy coaches, and referees who control the game without losing sight of the mission. K-9th Grade -- everyone is welcome. Yourself included. As long as you’re committed to building on this culture, we’d love to have you on the team for next season. *NOTE: There will be no games on Sunday, April 21st in observance of Easter. 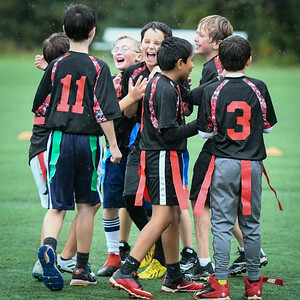 The Next Game Project/Flag Star Football are proud sponsors of the Flag Star Football Foundation, working to provide all young athletes with the opportunity to play, learn and grow.